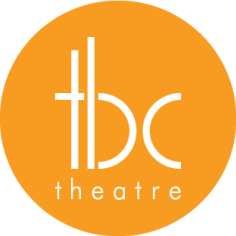 TBC Theatre is the formed company of 16 arts professionals from different backgrounds. Whether writer, actor, director or production specialist, what binds us is a common passion to produce eclectic, enjoyable entertainment for Melbourne audiences and an ethos that is based on hard work, fun, respect and a true sense of ‘company’ – for each other, the arts, and most importantly – our audience. We proved this with our premiere production of Loveplay by Moira Buffini in July 2014. With 5 Star reviews, sell‐out shows and overwhelming audience praise, we realised the support we have for each other resonated out to our audiences and had ignited us as a company. And we exploded from there. With 7 full productions, a co-production, development works, script readings and wandering corporate work, we’ve successfully created partnerships with the National Trust, Melbourne Food & Wine Festival, The National Celtic Festival, The City of Yarra and Southern Metropolitan Cemeteries Trust and Poppy Seed – being granted the honour of opening the inaugural festival with our acclaimed production Project: Hysteria. Most importantly, we’ve been fortunate enough to welcome many talented and experienced guest artists to our family. From designers, directors and fellow actors, each artist has brought skills and vision to our projects and has taught us all in the process. And we’d like you to join us. We’d like to invite you to be part of our TBC community. Follow us on social media, join our mailing list, buy tickets, contribute to our fundraising or simply say ‘Hi’ and chat with us at a show. However you wish to join us, we’ll offer you a diversity of experience, a supportive company and the opportunity to share in the fruits of our well‐loved and well‐toiled labour.